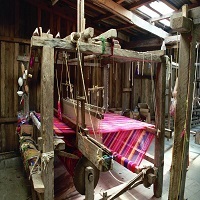 Water plays an intensive role in the textile industry. Water is used for cleaning the raw material and for many flushing steps during the whole production. It should not include fat, oil, color and other chemicals, which are used during several production steps. The cleaning process is based on the kind of waste water and also on the amount of used water. The concepts, to treat the water can differ from each other. Cleaning starts from screening to Homogenization and then Neutralization which further goes for Biological Purification and then removal of waste from water. It is important to adulterant free water for textile to avoid any compromises in the quality.